Helping member companies develop new product and manufacturing technologies is central to the MAA's mission. Our work in this area is widely recognised as world-class amongst aerospace clusters. The MAA Technology Development Group leads this workstream, which ranges from working with individual companies to create their own technology roadmaps or to develop an internal engineering culture through to setting up and obtaining the funding for significant technology development programmes which can support companies financially and with expertise. The MAA has been organising technology development programmes to help smaller aerospace suppliers since 2005, starting with our Aerospace Technology Exploitation Programme (ATEP) in the West Midlands. We designed the NATEP progamme -- which spread the same model to four other UK aerospace clusters. Steered by the Technology Development Group, by the late 2010s the workstream had grown and diversified. In 2018 the MAA celebrated 10 years of supporting more than 40 successful technology development projects to completion through programmes like ATEP and NATEP. 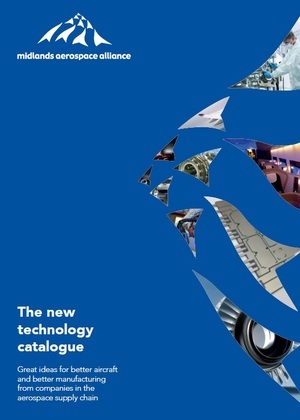 How we do it, and all the projects, are presented in the MAA New Technology Catalogue. The MAA’s hands-on "bottom-up" approach to supporting companies makes all the difference, especially when working through numerous barriers and challenges on the way to success. Our MAA Technology Development Group reviews and offers advice on project ideas from germ to fully fledged project. Our MAA Technology Managers support and mentor companies at every stage and take a collaborative approach. Companies benefit from accessing the expertise of a team that has spent decades in the aerospace industry between them. They can get help with project management, financial control and, crucially, getting potential customers to hear about the new technologies or new manufacturing processes they’re developing. Some companies have gone on to establish ongoing relationships with contacts at leading aerospace companies such as Airbus, Boeing and Rolls-Royce which ensures opportunities continue to come to them in the future.